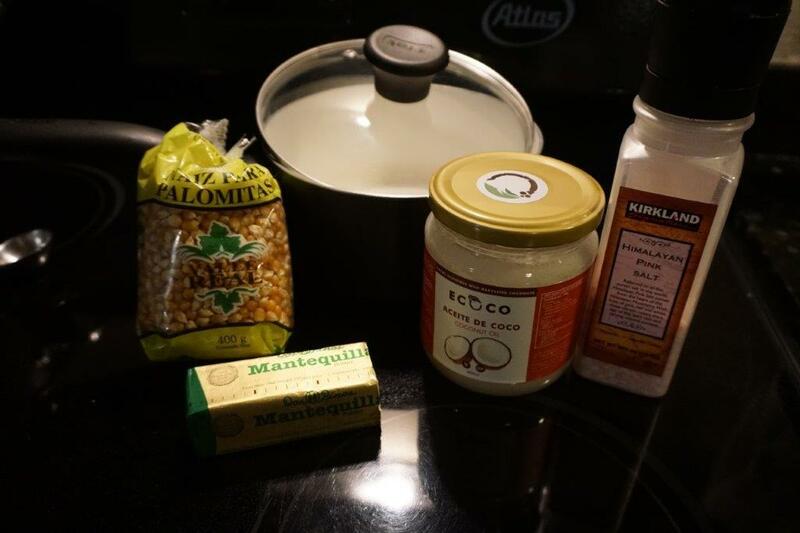 A quick, easy way to make popcorn that tastes much better than microwave popcorn. You can use any method you like with the ingredients. 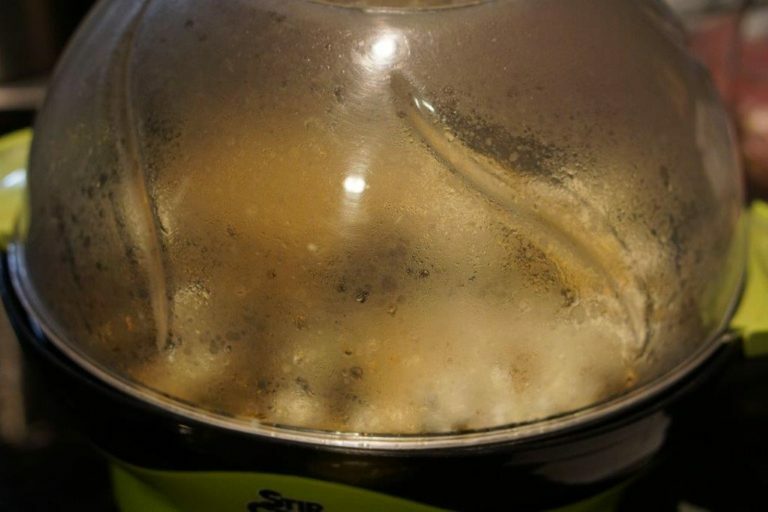 Put kernels and coconut oil in the popcorn popper or a 2-quart pot. If using a popper, turn it on and wait for the magic. If using a pan, turn it to medium or medium-high heat and cover with a lid. 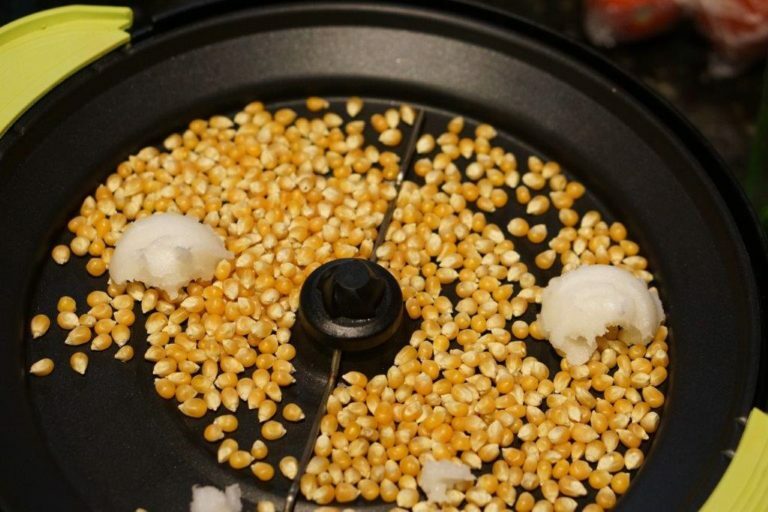 But really, if you don't have a popcorn popper, what are you doing with your life? 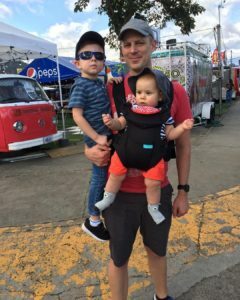 Where are your priorities? While you're waiting, melt the butter. You can use a microwave for this step. 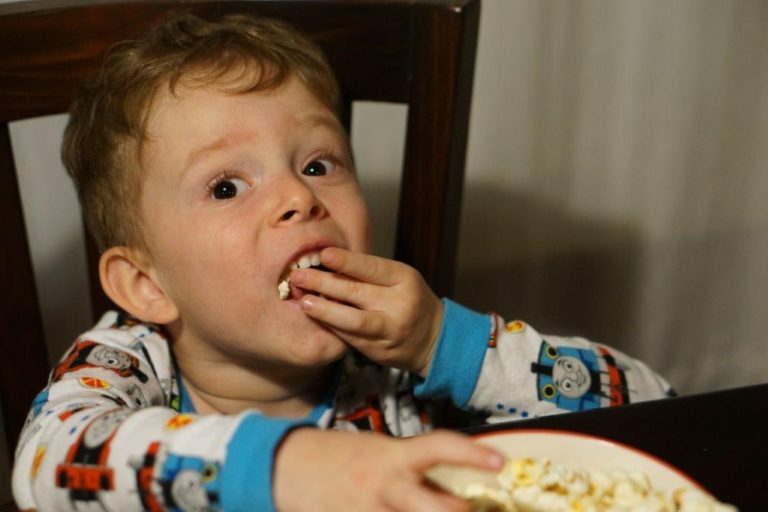 Don't get me wrong--microwaves are OK, but they're just not good at making popcorn. 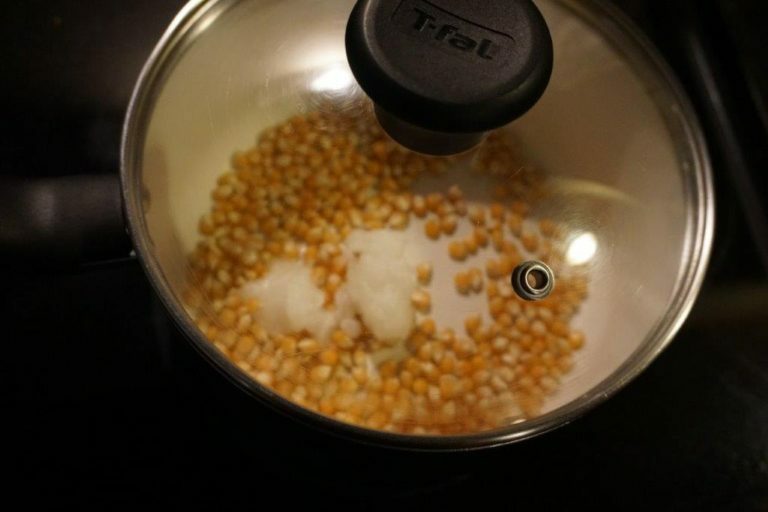 Once kernels start popping (after about 4 minutes), shake the pan to help unpopped kernels go to the bottom. That also helps keep the popped ones from burning. If you're using a popper, just enjoy the show. When there's about 2 seconds between pops, turn off heat and remove the plate and cover from the popper (or the pan from the stove). 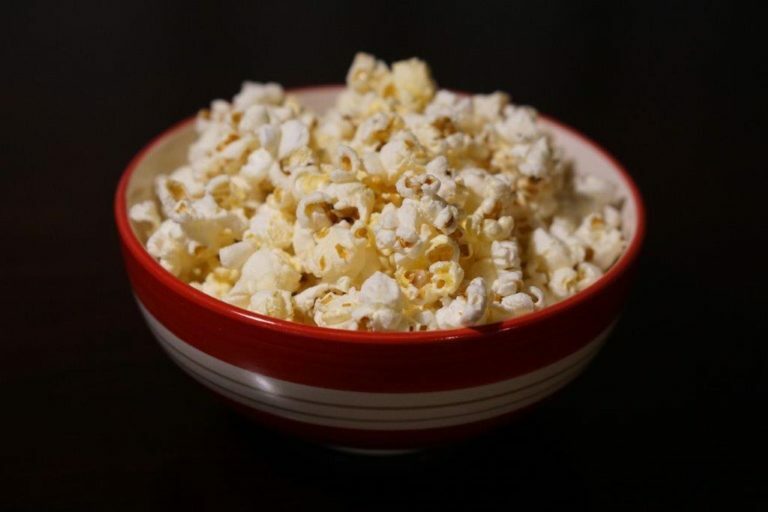 Pour melted butter and salt to taste on the finished popcorn. Put on a lid and shake it up. Enjoy, preferably with a movie. 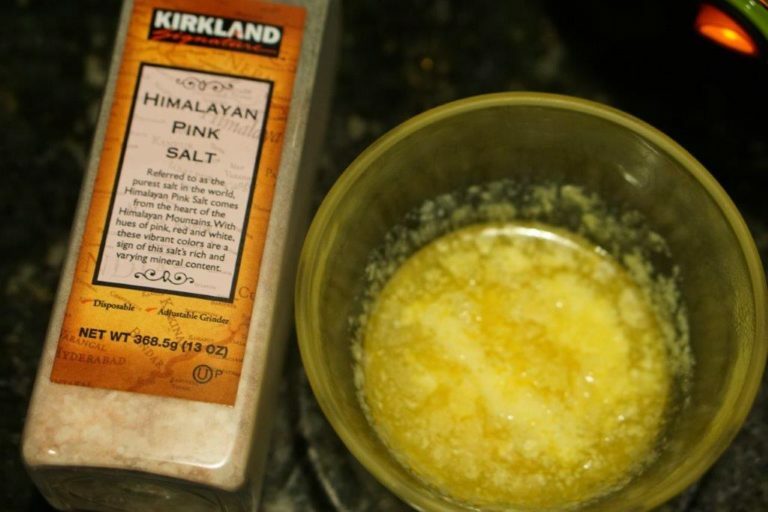 You can also use a different kind of salt or oil, but it might make your kitchen catch on fire.